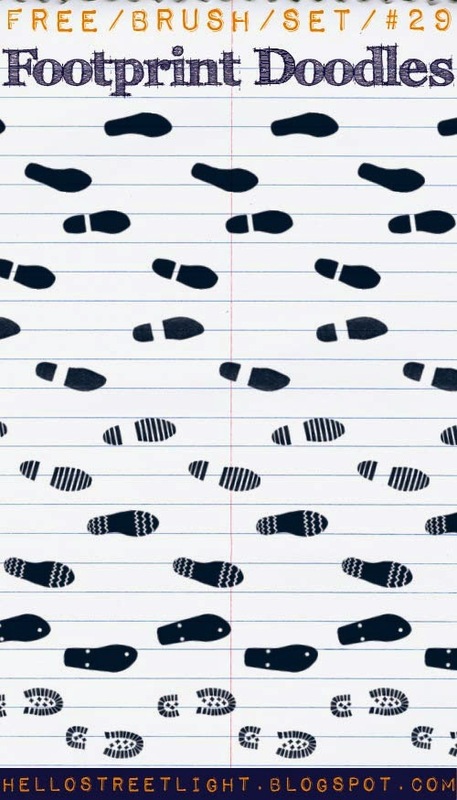 I doodled some footprints on my sketchbook so now I got this nice set of brushes. I used a ballpoint pen in making them so if you look at the max size of the brushes, you'll see some nice rough textures created from the pen strokes and paper. I kept the edges of the brushes somewhat rough cause of the sketchy effect it gives. I've set the brushes to follow the stroke direction of the mouse/pen tablet. 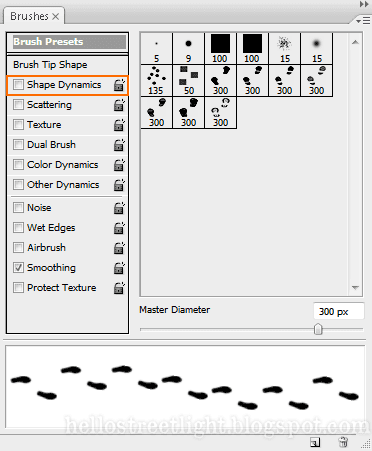 So if you want to use the brushes as stamps instead, just open the Brushes window (Window » Brushes or F5) then uncheck "Shape Dynamics". And as always, I hope you like this brush pack. Enjoy!